You have changed the date on your computer. In this case, just change back the date to the correct (current) date and restart your computer. If after having adjusted the date and restarting the computer you still find the error displayed, go in to the “C:\Windows\system32” folder, locate the file called “oemebios.bin” and delete it. 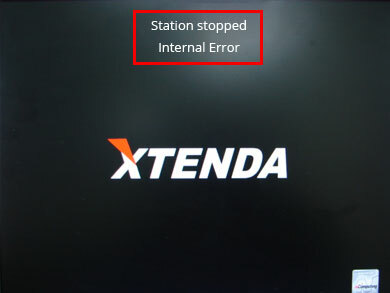 Then uninstall and re-install the PC-Station software (NCX-2000XP). This will solve your problem. Please remember that the date on your computer should always be the correct (current) date.